I’ve been practicing yoga on and off for about 20 years now. I’ve been appreciating art since my brother drew his first crayon drawing and my mom hung it on the fridge. With great delight I found out today that one woman is now mixing art and yoga–just a block from my office! 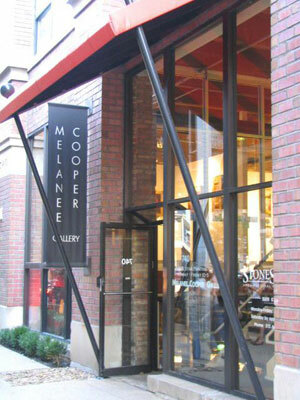 After 22 years in the art gallery business Melanee Cooper Gallery will be transforming its space into a yoga studio at the same location. The new yoga studio, Yoga House, will offer free yoga during Art Chicago for gallerists and artists. Melanee Cooper received her BA from the University of Michigan in 1984. Opening her first gallery at the age of twenty-six, she has exhibited and represented hundreds of contemporary artists, which contribute to her experience and fascination with the surface, texture and process of the artwork. After twenty years in the art business working with collectors, art professionals and artists, the gallery’s focus is to educate and provide outstanding personal client service. According to an article about Yoga House in Time Out Chicago, Melanee received her teachers training certification in yoga at the Nosara Yoga institute in Costa Rica. Her new yoga studio offers classes in hatha yoga, vinyasa flow yoga and restorative yoga. And artwork will still be features on the walls of the studio! Thank you so much for writing about Yogahouse on your blog. I never imagined that i would turn my art gallery into a yoga studio and we are thrilled to be here! Please come by for some yoga on us – we would love to have you. I would be happy to help you with any teacher rec’s. You’re welcome, Melanee! I try to give my readers the latest info on general and local wellness info and your studio is a great find! I frequently recommend yoga to my clients and readers. I too changed careers to move more towards wellness and I wish you the best of luck. Thank you for providing a yoga studio in such beautiful surroundings in the River north area. It was sorely needed. Many of my clients live or work nearby. I will send them over! Just posted it on facebook too… for all my Chicago yoga lovers. Sadly, I think Yoga House is closing soon. I believe the owner decided that she is more interested in teaching yoga than running a business. You may want to email her and get details. if you want to do the same thing. Running a business is very different from teaching yoga or doing massage. She may have some good insight into what you can expect. Good luck on your teacher training and blogging! Namate.